Waiting for me to review them that is. I’ve managed to get behind on several reviews, six to be exact. Instead of feeling guilty about this, I’m going to pretend I’ve been saving these up for the Reviewathon. What’s a Reviewathon you ask? Alita from Alita.Reads will tell you here but in case you don’t click that link (which you should) it’s basically a chance to catch up on reviews, schedule posts, and a really excellent excuse to sit at the computer and play on twitter. No, that last one’s not really true but there is a hashtag – #reviewathon – so it’s kinda true. I’m participating for a few hours on May 5th but it runs from May 4 – 6 so there’s more than enough time to write up a review or two, or six if you’re lazy like me. ← Look at this book! 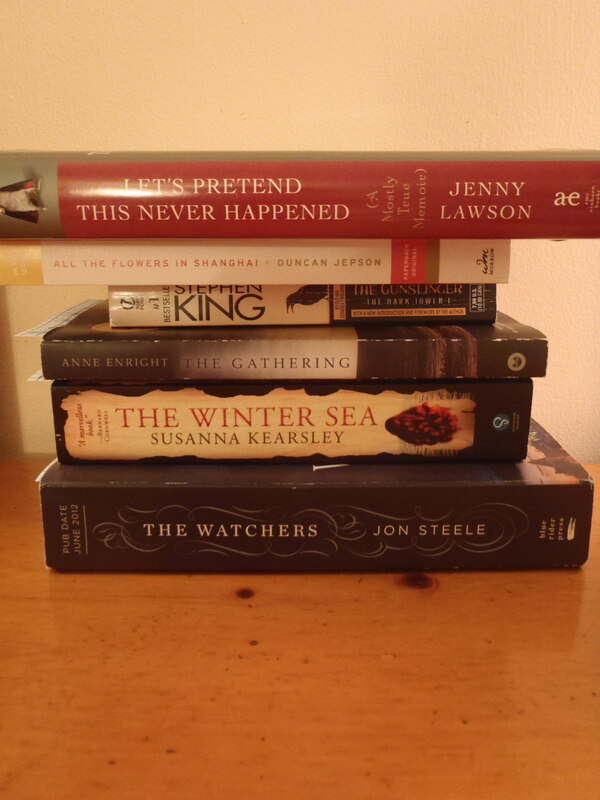 I have at least 10 books in my to-review pile, which scares me more than a little bit. But, I was able to write 9 reviews last time around, so I should be able to make it through most of that pile. Right? I’m hugely behind as well, so hopefully I’ll be able to take part. Good luck! Yeah! I’m really looking forward to it.